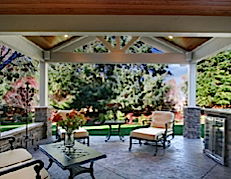 Our highly experienced team strives to build your new custom home, remodel your existing or maybe the patio of your dreams. We work extremely hard to meet your lifestyle and financial needs. The goal of M. R. Sandquist Construction is to make the process from design to the final finishing steps as exciting and painless as possible. In todays economy finances are a driving force and we work to get you the highest return on your money. Please tour our site and see we will meet or exceed your needs. Contact us with any of your home building needs or questions. We are here to serve you and provide you with the best building services possible. We are proud to announce the opening of the Boise Market to our business. There are so many wonderful projects to transform.